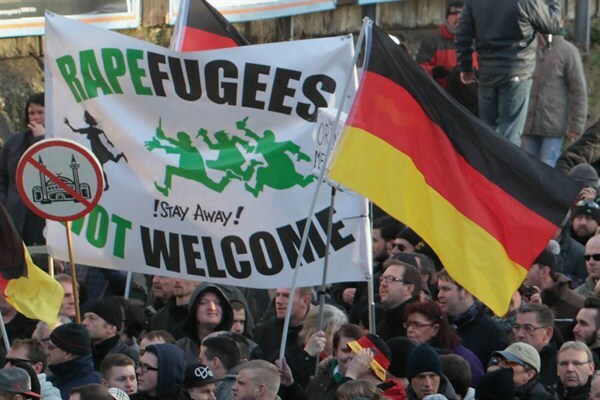 Germany’s Right-Wing Identity Movements Offer a Cautionary Tale for the U.S. Right-wing demonstrators protest against Muslim refugees, Cologne, Germany, Jan. 9, 2016 (AP photo by Juergen Schwarz). Since Donald Trump won the U.S. presidential election, white nationalists have gained new visibility, galvanized by the president-elect’s campaign rhetoric and his appointment as chief adviser of Steve Bannon, the former head of the far-right Breitbart News who is infamous for his ties to the so-called alt-right movement. In response, many Americans are bracing themselves for a long fight against the potential normalization of racist rhetoric, as hate crimes against minorities and women have already multiplied across the country.